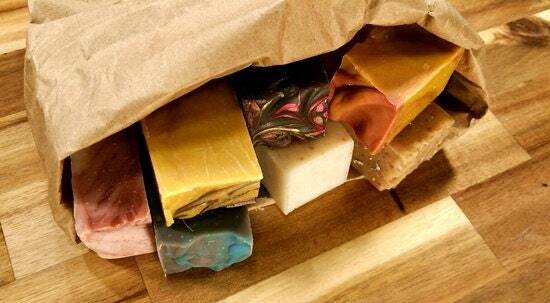 Grab a Bag Of Soap filled with at least 6 (or MORE!) 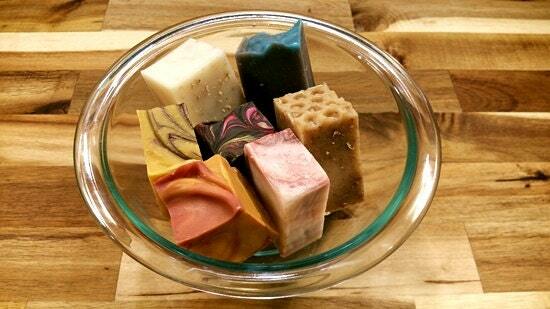 chunks of different soaps from CoffeeHouse Suds. 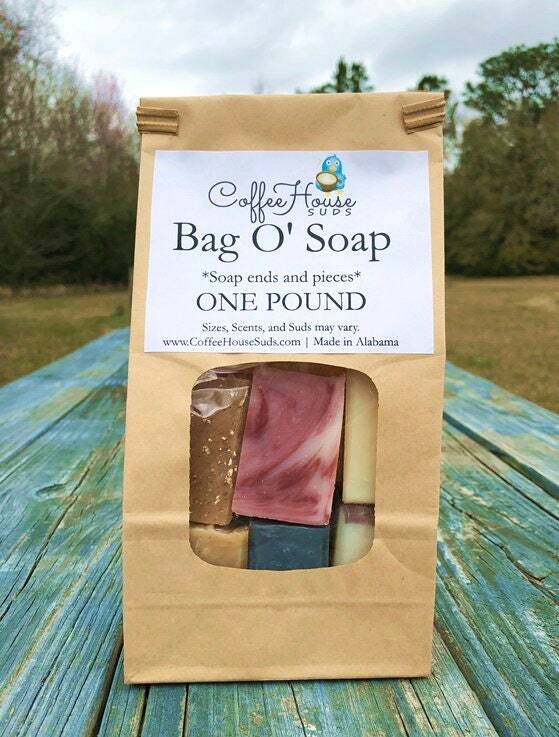 You get 1 pound of soap!!! ☕ Each chunk of soap weighs approximately between 1.0 and 2.4 ounces. ☕ Scent: Varies!! I am always making different soaps.